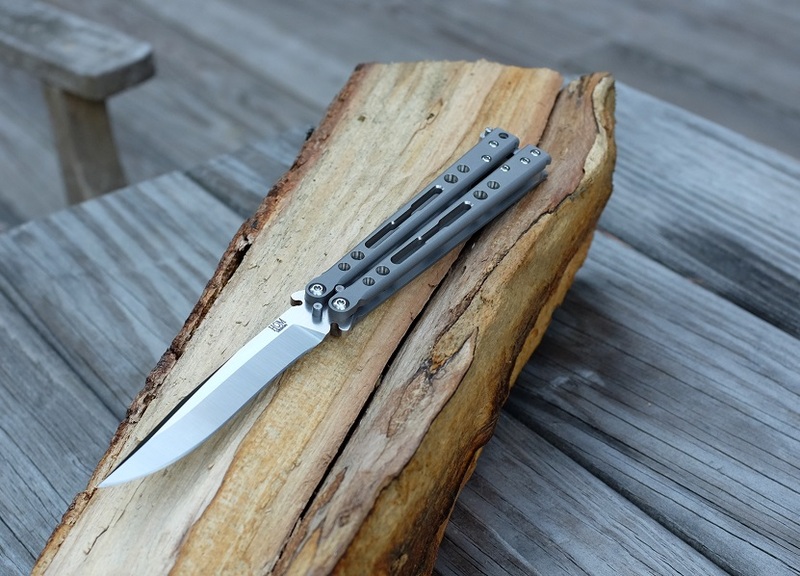 The Specter Balisong is a premium production knife that can perform as both an excellent flipper as well as EDC cutting tasks. The blade is available in both S35VN and Elmax (Evo models) and can perform cutting tasks while having excellent edge retention. 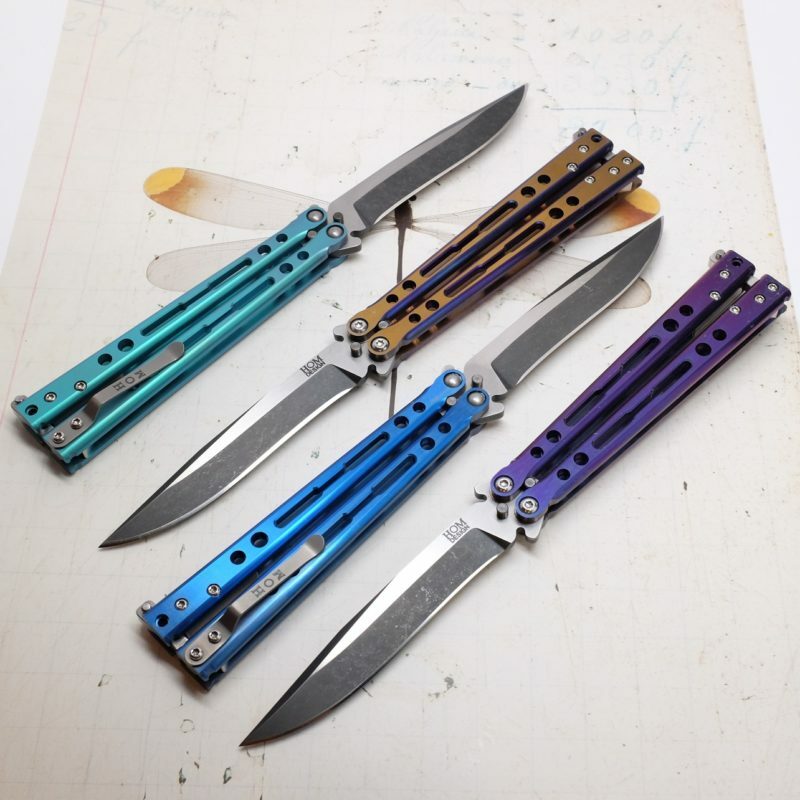 The 6AL4V machined titanium handles have “Butterfly closure” slot designs and were available in two-tone as well as anodized on Evo models. Specter Balisongs come with precision tuned bushing systems as well as titanium spacers and pin latches.